Transportes Linea has become one of the largest passenger and cargo companies operating in northern Peru. Here, redbus.pe brings you a review of its services. In August 1999, three Peruvian bus companies — Transportes Vulkano, Transportes El Aguila and Transportes del Norte — merged to form a new company named Transportes Linea. It now serves 11 destinations in Peru, the southernmost being the Peruvian capital of Lima. All of the rest are located in the northern half of the country. Heading along the coast north of Lima, Linea goes to the major cities of Chimbote, Trujillo, Chiclayo and Piura. Unlike many of its rivals, Linea also serves a number of smaller cities in the north. These include Chepén, Guadalupe and Pacasmayo on the coast. Further inland, Linea goes to the popular trekking and mountaineering hub of Huaraz, the historic city of Cajamarca, and Jaén (a small city that you’ll pass through if you decide to cross over into Ecuador via the border crossing near San Ignacio, or vice versa). Linea has no international destinations. How good are the buses? The company has a large fleet with buses ranging from average to excellent. The company has five different services, and there’s quite a big difference between them. The most basic are the Economico and Directo services, which have smaller seats that don’t fully recline. The onboard services are minimal, but you will have a bathroom and some movies to watch. These buses are OK for shorter trips (under four or five hours). For longer journeys it’s worth upgrading to a better service. The next step up is the Especial service. These buses have 140-degree reclining seats, onboard snacks and movies. Pay a bit more and you can travel with Linea’s VIP service. With comfortable 165-degree reclining semi cama (half bed) seats, air conditioning, snacks and a meal (depending on travel time), the VIP class is a good option for longer trips. The best option with Linea is the Super VIP, which offers more space, fully-reclining 180-degree bed seats and all the services found on the VIP buses. The Super VIP buses are comparable to the best services offered by rivals such as Cruz del Sur, TEPSA, Excluciva and Oltursa. Línea has a number of safety measures in place that help keep its passengers secure both before and during the journey. As with companies like Cruz del Sur, all passengers must present valid ID when boarding, and everyone is filmed before the bus departs so that the company has a visual record of its passengers. The buses are fitted with GPS for tracking and for velocity control. Each bus has two drivers for long distance trips, so that they can rotate every few hours to avoid fatigue. The drivers are checked for alcohol consumption before each trip. Importantly, Línea does not pick up passengers outside its designated terminals, which helps prevent theft and, in worse-case scenarios, hijackings. 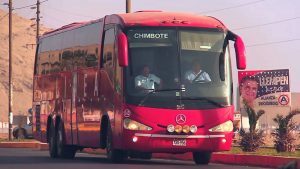 Línea has had a good safety record in recent years, and did not feature in the 2017 Accident Participation Index published by SUTRAN, which lists the 50 Peruvian bus companies with the worst accident records each year. Should you travel with Línea? Sure! It is a perfectly good bus company, although you should definitely choose an Especial, VIP or Super VIP. The Economico and Directo services are Ok. However, you won’t be comfortable for more than a few hours. Avoid these unless you’re very accustomed to traveling on long-ditance buses. If you’re traveling in northern Peru and want to visit smaller towns and cities like Chepén, Guadalupe, Pacasmayo, Huaraz and Jaén, then Línea is a handy and reliable option. It’s also affordable. For example, Línea’s VIP bus from Lima to Trujillo costs S/ 69 ($21). 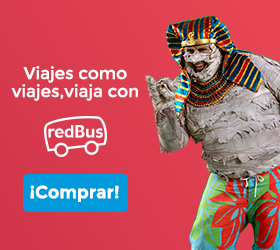 Meanwhile, the cheapest tickets along the same route with Cruz del Sur start at S/ 95 ($29). Callao, Peru: Is it safe to visit the first port of the country?